The Saucony Omni 14 is a fresh breath of air to the stability shoe game. It offers a high amount of support but doesn't sacrifice flexibility because of it. This is an intermediate level shoe. 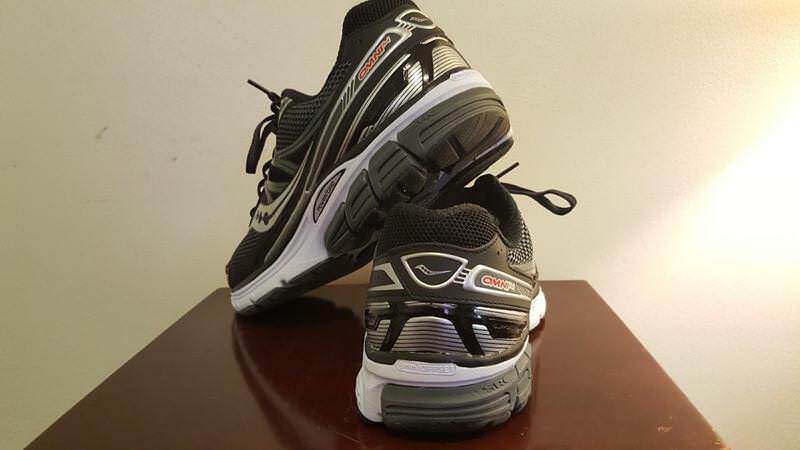 It is for runners looking for a high amount of support but aren't looking for a clunky pair of shoes that many stability level shoes succumb to. I have really grown to like Saucony’s line of shoes. They give a great fit and smooth ride throughout. I had huge success with races using the Mirage, so when I saw I was getting to test the Omni’s I was excited. Not much has changed with the last incarnation of the Omni line. It’s a shoe that is rather unique, giving a high amount of support with a ride more reminiscent of a motion control shoe thanks to the 8mm drop. I wish the drop was a little higher though as this gave me issues. I am used to running in shoes with either much lower drops or ones higher than this. The fact that it was in the middle of the line altered my running form to the point of having soreness issues with my calves. I had issues on my longer runs after I would hit 8 miles as I became more fatigued due to not being used to the ride. As the name suggests, this is the 14th shoe in Saucony’s every growing popular Omni line. 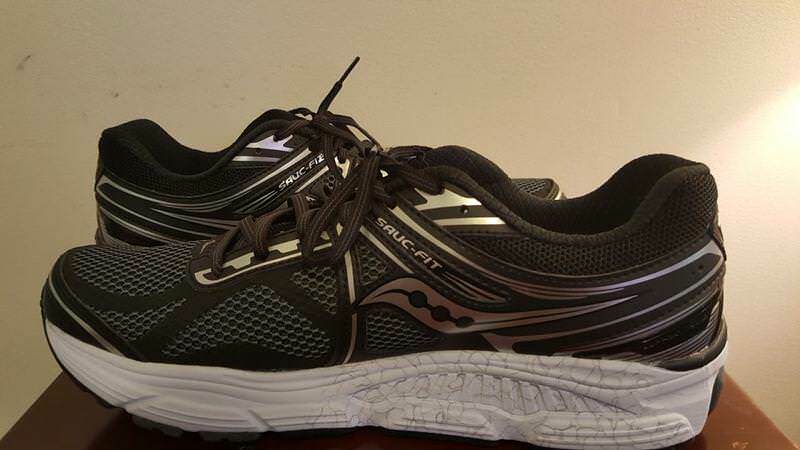 It sits high on the podium of the moderate stability shoes that Saucony offers. While not a flagship, it is definitely a staple in Saucony’s arsenal. First impression when unboxing was opposite of how my first run in these were. What stood out to me first was the high amount of foam on the inner portion of the shoe. I was expecting this to be a shoe more similar to Asics’ Kayano line because of this. When I first laced them up and ran in them I was pleasantly surprised. The shoes were very flexible and I was able to rebound fast off the ground thanks to the powergrid system on the sole unit. Style wise, colors are somewhat neutral but bold. I received the black color way and this is a shoe I can wear with regular clothes. Saucony’s trademark powergrid is present on the sole of the shoe. The sole is covered in soft foam throughout with a high layer of tread. This translates into a very smooth ride throughout. The foam is soft, which allows my feet to bounce quickly. I had zero issues in inclement weather which included heavy rain and snow. I always felt in control and only had to somewhat adapt, but this was because I was going through patches of ice the rear of the heel promotes an 8mm drop. Most stability shoes that I’ve ran in, have a higher drop in the double digits. This is where the Omni’s unique ride comes into play. It pushed me forward to use more midfoot striking. I was not expecting this with such a large amount of support. This did come with some difficulties however, as I was finding myself sore in my calves and longer runs were difficult once I passed into double digits. 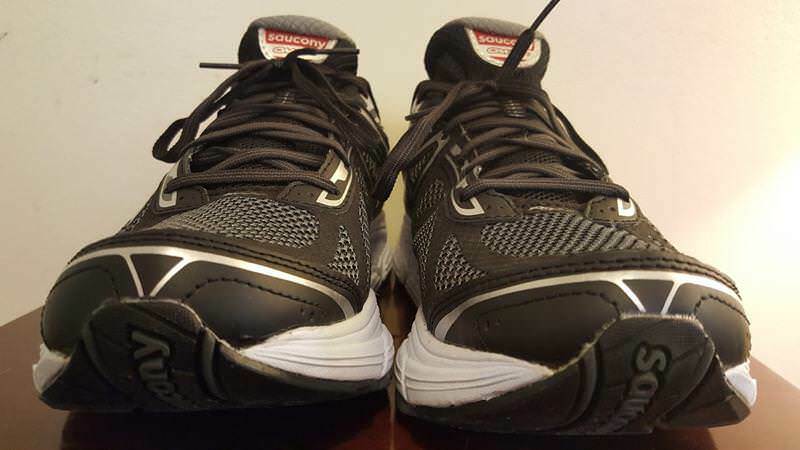 You definitely want to ease into these shoes if you are used to running in middle spectrum stability shoes like the Brooks Ravenna or GT2000 line. The upper portion of this shoe has even amounts of solid material and mesh allowing it to breathe but not be vulnerable. The official description says that it is not water resistant but I didn’t have any issues during my runs in the rain. There was one instance where my feet were submerged in a puddle, but I did not have issues with my feet being soaked or the like. The shoe also dried relatively fast which was a nice plus. The liner offers a system called SAUC-fit which keeps you locked into the middle of the shoe and grasping your heel. The lacing system is fairly standard but it gave me a snug, not constrictive feel. Fit wise, it feels great. There is more than enough room in the toe box and I never thought I was going to fall out of the shoe when I would need to make sudden and abrupt turns. It is true to size and there is no need to size up. I like what saucony has done with this line of shoes. They offer a high amount of support but give a ride not usually seen in this class of shoe. I really wish running shoes would stop going so far over the 100 dollar mark though. 120 dollars really made this something that is too rich for my tastes as 90-100 is usually my sweet spots for shoes. In closing, if I am going to go with a stability shoe with moderate support, I would go with something with a higher drop. The low drop gave me too many issues and it made tempo work and long runs really hard. 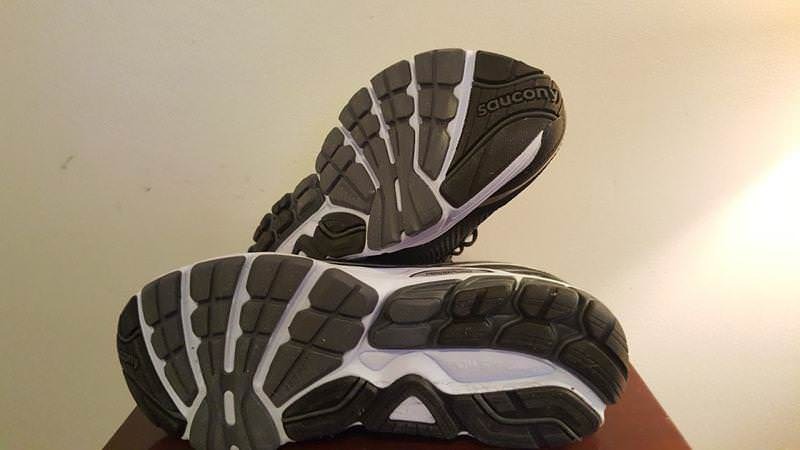 If I am going to go with a shoe with a low drop offering moderate stability, I would go with Saucony’s mirage, which has a 4mm drop over these. We thank the nice people at Saucony for sending us a pair of Omni 14 to test. This did not influence the outcome of the review, written after running more than 50 miles in them. Jessica mazza tampa love mine! Loved them from the minute I tried them on in running store. 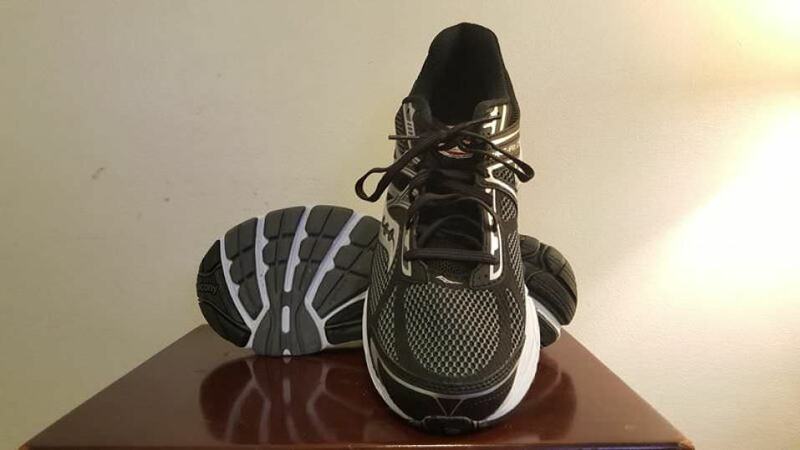 It was the 4th Shoe I tried on my search for a moderate stability shoe that did not feel clunky or cost too much, and what can I say, still like them a lot, even if by now the Gemini 2`s from UA have thrown them off my number one Running shoe spot.